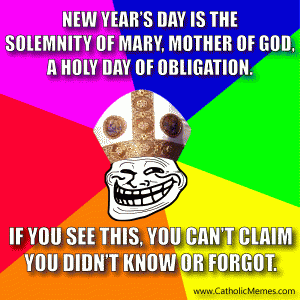 New Year's day is the solemnity or Mary, mother of God, a holy day of obligation. 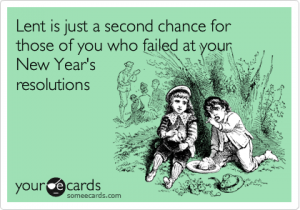 If you see this, you can't claim you didn't know of forgot. 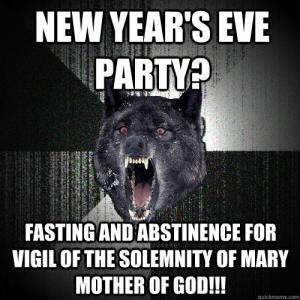 Fasting and abstinence for vigil of the solemnity of Mary Mother of God!!! 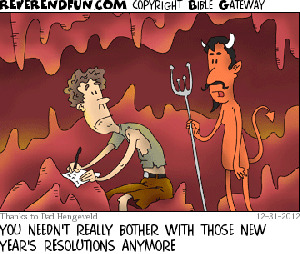 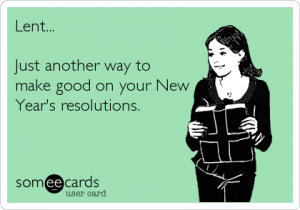 This Lent I'm giving up New Year's Resolutions. 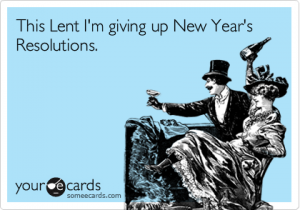 Lent... Just another way to make good on your New Year's resolutions.